Nutrition should be actively pursued and monitored in persons with Motor Neuron Disease. Weight-loss and malnutrition figure prominently in determining the survival of persons affected by this illness. It is a great challenge for the patient and the caregivers. However, proper diet is a tool to ensure a better quality of life for the affected person. Motor neurons are neurons that control the voluntary movements of the body. Due to unknown reasons, some motor neurons in the brain and spinal cord slowly go through degeneration and die. When this happens, messages from these neurons do not reach certain muscles. These muscles thus lose their function, leading to weakening of the muscles. The disease is progressive. Patients show visible wasting over a course of time. Motor Neuron Disease (MND) cannot be cured. Nor can the effects be reversed. However, with medication and therapy, this condition can be controlled and managed. MND does not affect everyone in the same way. 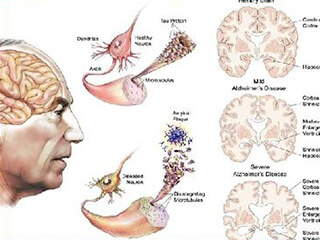 There are several subtypes of MND. How does MND affect nutrition? Motor neurons control physical activities like walking, gripping, swallowing, breathing, speaking. Thus, early symptoms can be slurred speech, difficulty turning keys, tripping often, dysphagia, etc. Dysphagia or difficulty swallowing happens due to trouble with the throat or oesophagus, which means taking more time and effort in pushing the food down. The patient might also choke or gag. Meal times will be longer. When swallowing difficulties worsen, gastrostomy may be resorted to. A tube is inserted surgically through abdominal wall into the stomach. The patient is fed liquid food through this tube. This method can help patient avoid the risk of choking, ensure adequate nutrition and reduce mealtime pressure on patient and caregiver. Factors such as sufficient food intake, need for greater energy, weakness in muscles resulting in difficulty chewing, etc. need to be considered when planning meals for affected persons. Keeping the patient nourished and hydrated will need constant and aggressive dietary strategizing. Using energy-packed foods, changing the food texture according to the patient’s tolerance, while not losing out on variety and flavour are some of the concerns that need to be addressed. Water, juices, broths and soups can ensure hydration and nourishment. As with all individuals, ill or not, all food groups need to be included in the diet. A dietician can draw up an appropriate diet plan, also taking into consideration any other health concerns the patient might have. This will ensure the patient gets enough carbohydrates, proteins, fats, vitamins and minerals to minimise weight and nutrition loss, and stave off other illnesses. Position the patient in a bed or chair to reduce difficulty during meals. A physiotherapist can come to your aid with this. Adopt a comfortable position and use a chair with added support, like pillows, to prop up the patient. Sit them as straight as possible, with the head upright and the neck extended slightly forward. Avoid tilting the head backwards or bringing it closer to the chest. Use cups and spoons that the patient finds comfortable. Sometimes a cup with a wider mouth may be preferred. Perhaps a straw might help with drinks. A more narrow or shallow spoon might be easier to use. Soft, moist food can help swallowing. Puddings, purees and pates can be boosted with something extra like, more milk powder or eggs. Thick drinks flow more slowly and hence, will be easier to swallow. Fortify smoothies or milkshakes with malt or protein supplements. Use full-fat milk, or high-protein milk to base soups and porridges. Provide several small meals throughout the day. If one meal fails, take heart, give it a break and try again. It is important to maintain a positive air during mealtimes. Failed meals can be frustrating for the patient and the caregiver. Next PostNext How is Osteoarthritis Diagnosed?